The ACL, or anterior cruciate ligament, is the main ligament that controls the movement of your shinbone (tibia) in relation to the thighbone (femur). 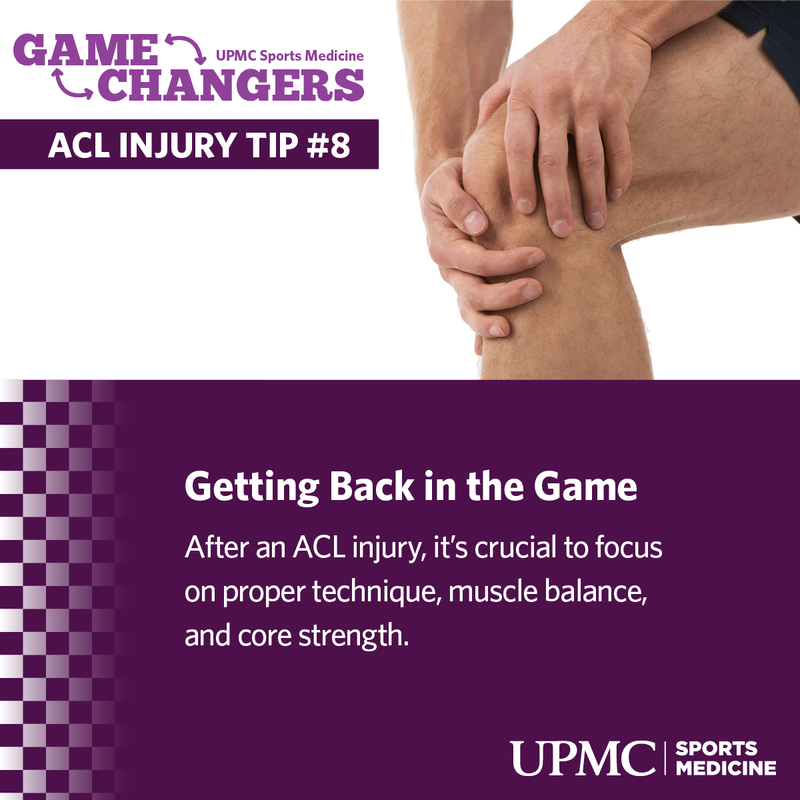 Whether you are an athlete, or just enjoy exercising, here are some tips from the UPMC Sports Medicine ACL Program to help prevent ACL injuries. 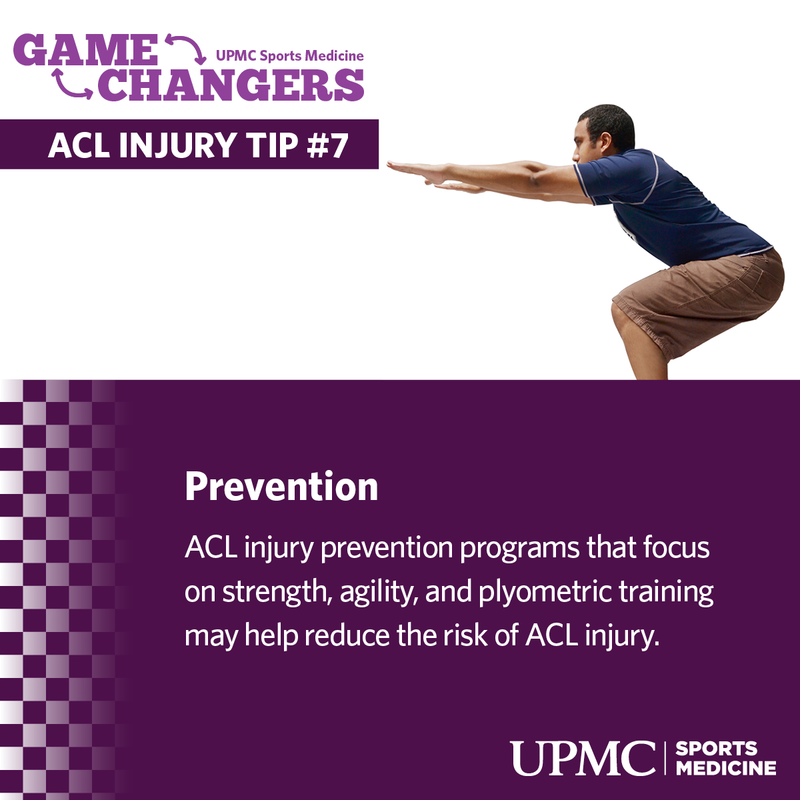 For more information about the UPMC Sports Medicine ACL Program, or to schedule an appointment with our sports medicine experts, call 1-855-93-SPORT (77678) or visit UPMCSportsMedicine.com. Warm Up. 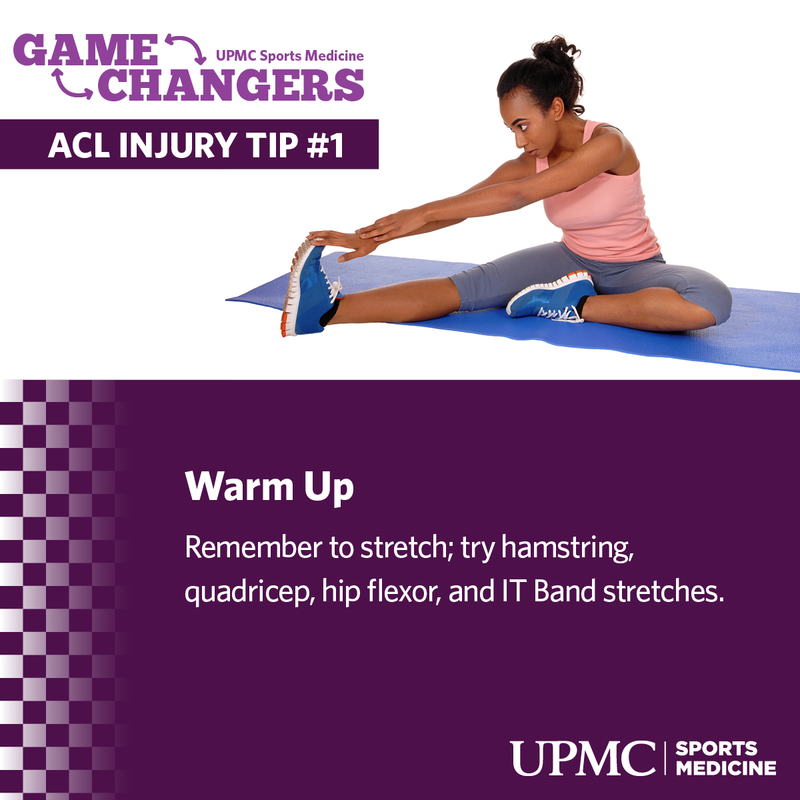 Remember to stretch; try hamstring, quadriceps, hip flexor, and IT Band stretches. Warning Signs. 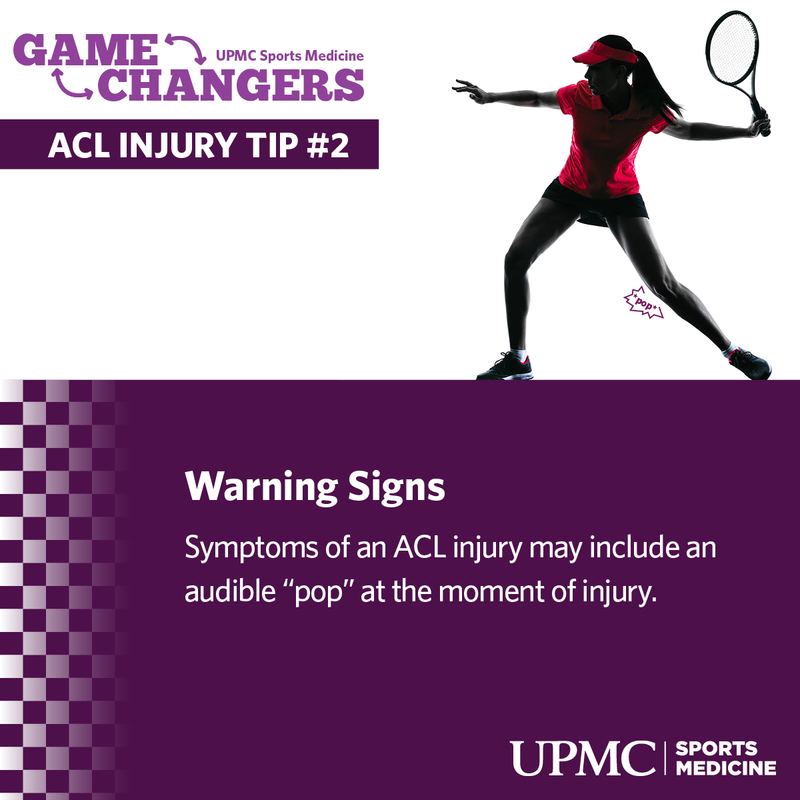 Symptoms of an ACL injury may include an audible “pop” at the moment of injury. What Is It? 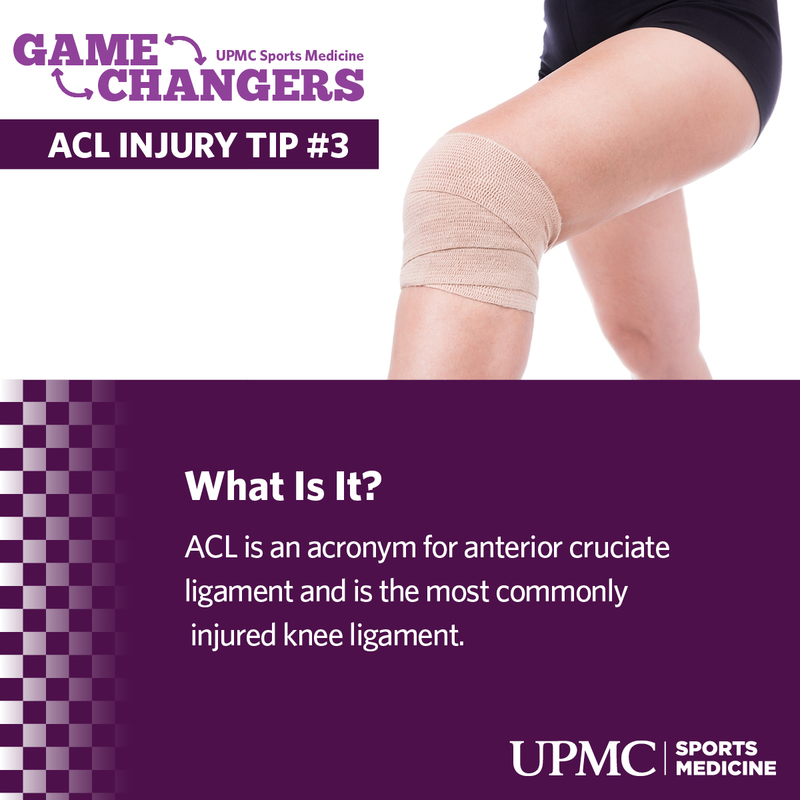 ACL is an acronym for anterior cruciate ligament and is the most commonly injured knee ligament. Where Is It? 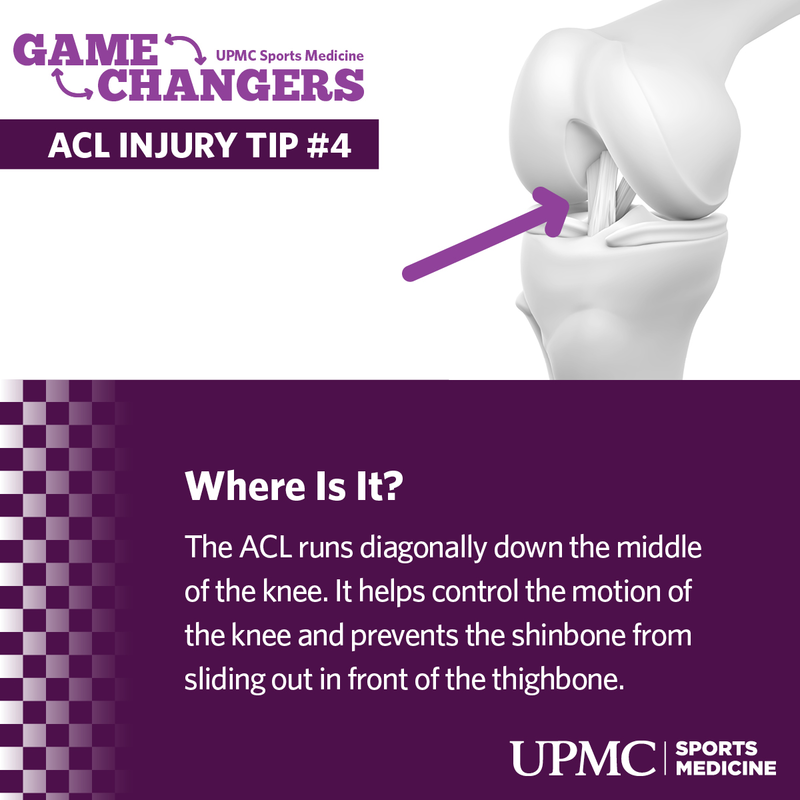 The ACL runs diagonally down the middle of the knee. It helps control the motion of the knee and prevents the shinbone from sliding out in front of the thighbone. Heads Up. 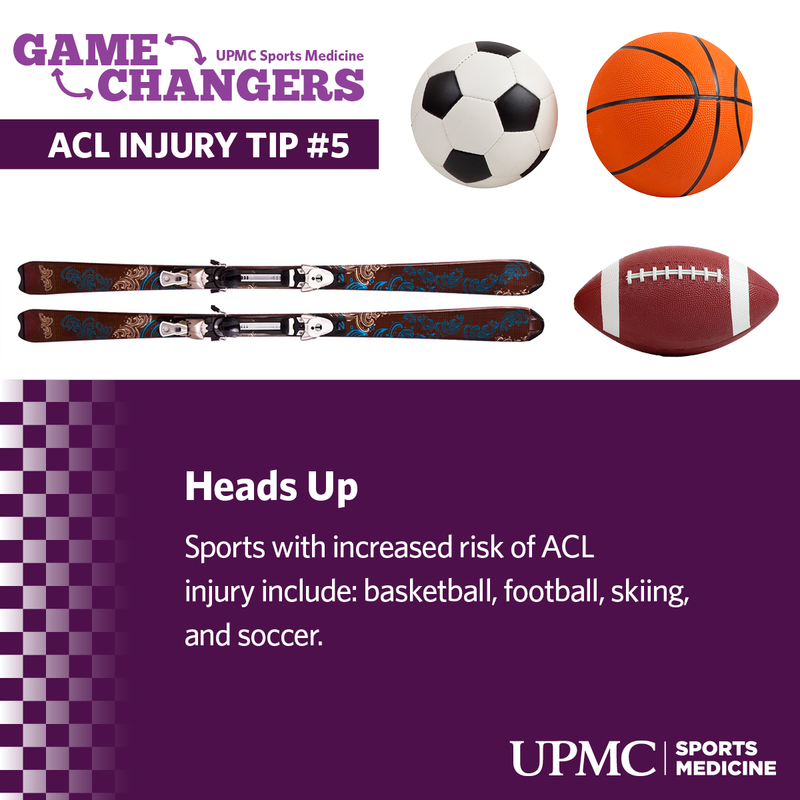 Sports with increased risk of ACL injury include: basketball, football, skiing, and soccer. Watch Your Step. 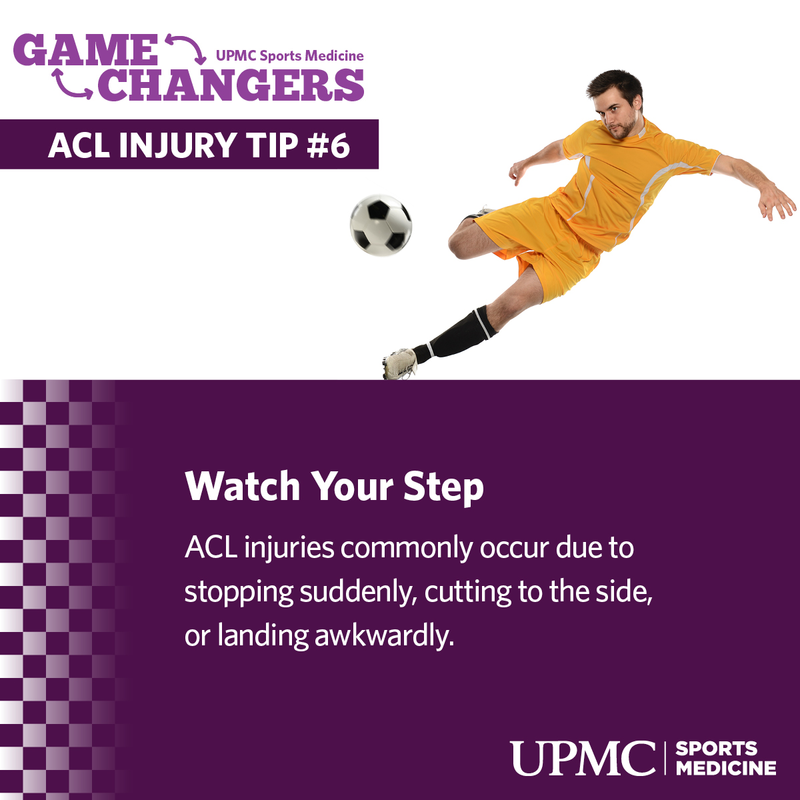 ACL injuries commonly occur due to stopping suddenly, cutting to the side, or landing awkwardly. Prevention. ACL injury prevention programs that focus on strength, agility, and plyometric training may help reduce the risk of ACL injury. Getting Back in the Game. After an ACL injury, it’s crucial to focus on proper technique, muscle balance, and core strength. Re-injury is the most common complication of an ACL tear. If you’ve already torn your ACL and you play sports regularly, you’re more likely to injure it again.